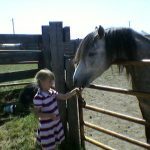 My little niece Ava was telling my all about her pony, Pony Boy as he is so creatively dubbed, and how he throws her every time she rides him. This made me think about how I bet parents wish they could edit what their children say, and about the importance of a child’s first horse. 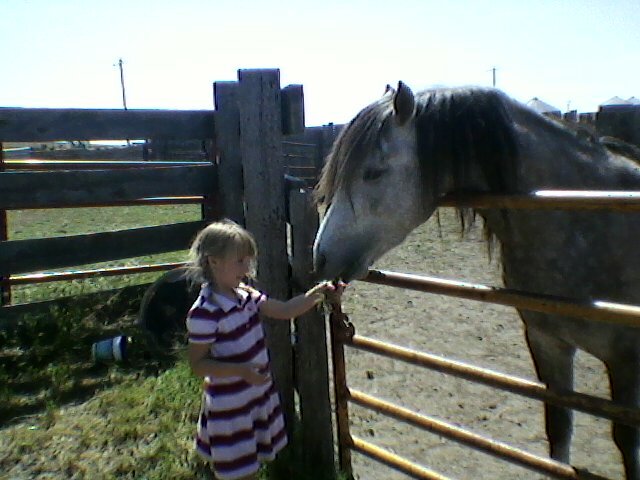 Since I have been pregnant my favorite pastime has been looking for a kids pony/horse. This is a very important purchase after all, you are trusting your child’s life to the animal of choice. It shouldn’t just be any old pony someone drops off in you’re pasture. My mom says she was told the perfect child’s horse is lame and has heaves. It won’t want to run away and if it does it won’t go very far. I was blessed with the perfect horse to start on. My mom’s aged gelding who had been her first horse many years before. He was short just over fourteen hands and so sweet and quiet that all I ever wanted was to ride mom’s new horse. He was a big flashy green broke Morgan with flaring nostrils and hot tippy ears. She let me ride him occasionally. She swears I didn’t fall off every time but until the day he died he remembered me and would try to run off. I have enjoyed immensely perusing Craigslist in my search. I know every one makes fun of the quality of horses listed there but I have found some that sound perfect. This twenty year old horse or that half dead pony sound perfect and I get all excited then I realize that she isn’t born yet and I’ll still have to wait three four years before she can sit a horse on her own. I can only hope that some of these prospects will even be alive by then. Maybe I should wait a little while. Until then she will be riding in front of me on trusty old Coyote. Even if I don’t find the perfect horse I am in luck. My mom has a well behaved gelding who is lame and just happens to have heaves. I think Skip would be perfect for her! Until then have fun looking through Craigslist! well Megan, perhaps you would like to come try out the new hot tippy eared morgan living at our barn! wont throw you, but might bring back memories of other big speedy morgans you have ridden. And I am surprised to see Steph giving you the horse I gave to Sabbath!